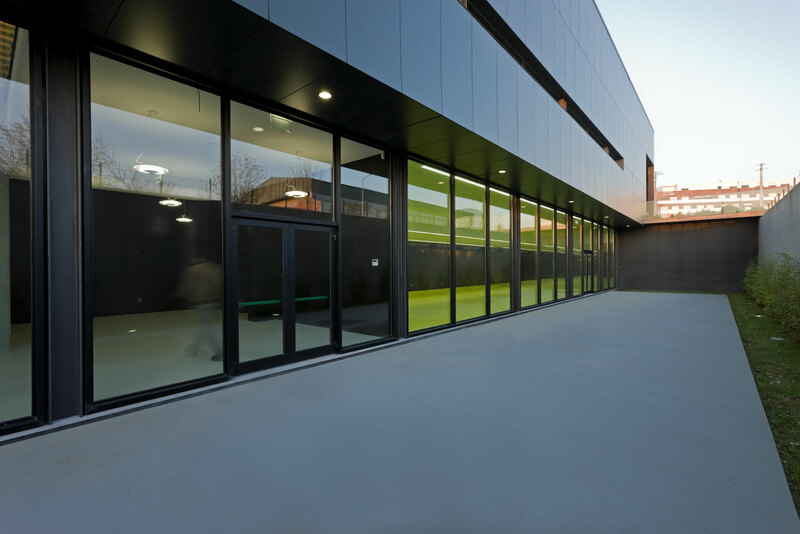 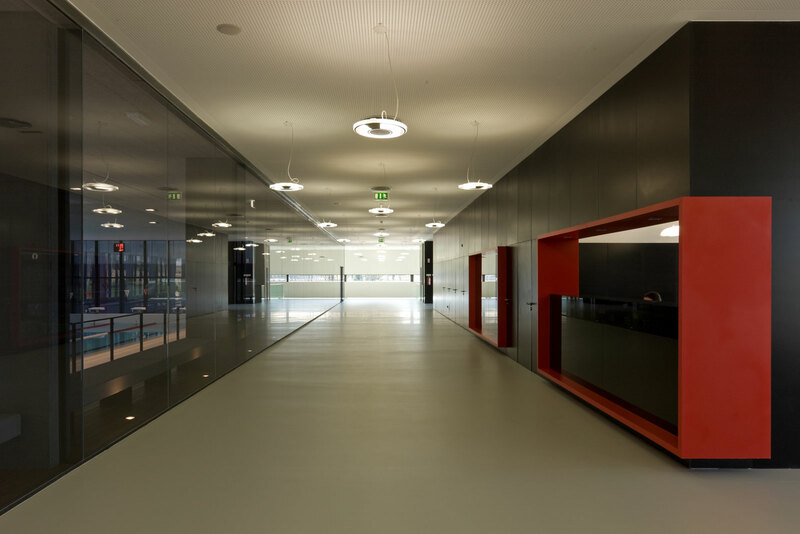 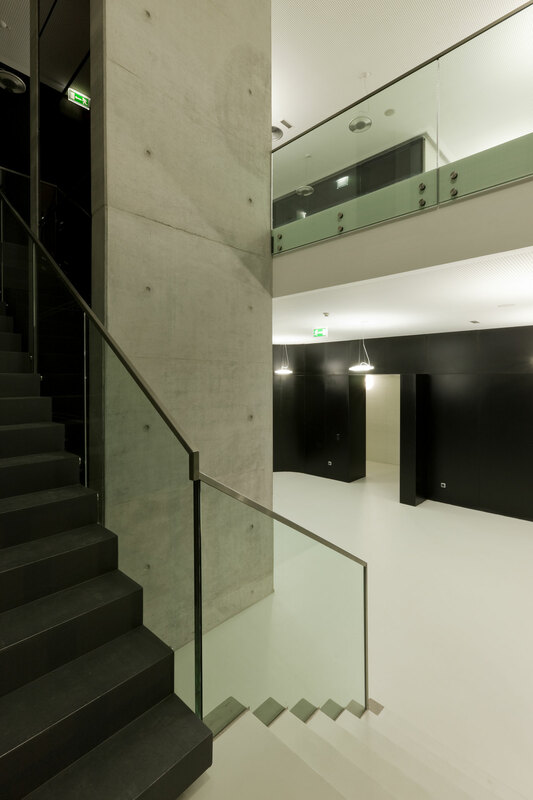 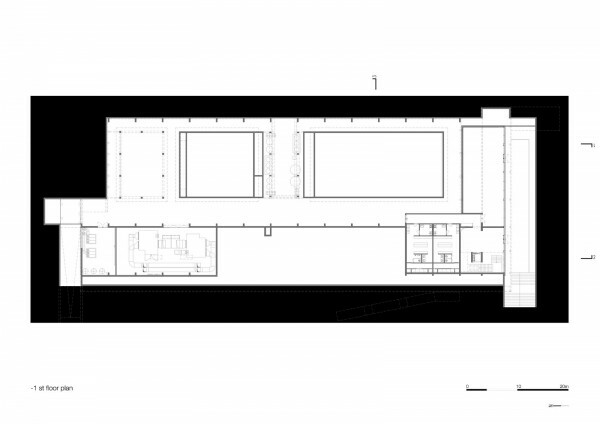 The installation of the building benefits from a large extension of land in the North-South direction, where a plan distributed over two floors has been developed – ground floor and basement are partially buried. 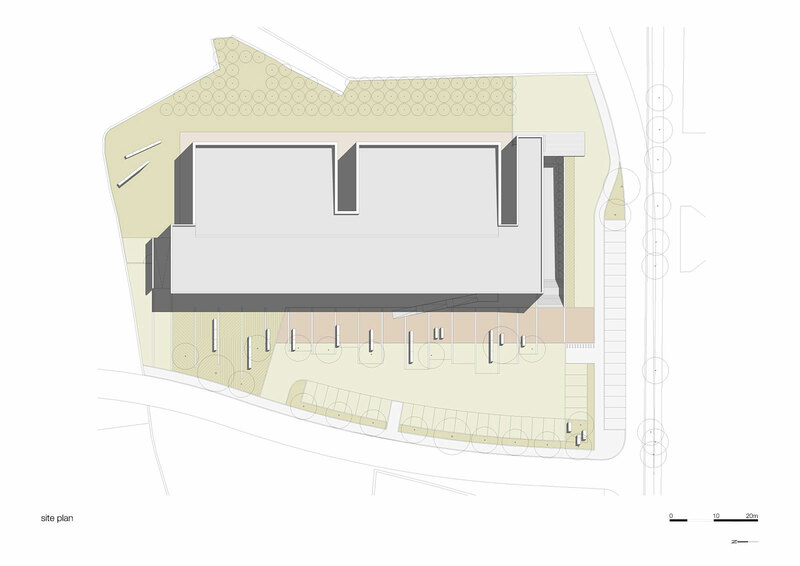 The approach to public spaces in the area surrounding the building to the West and South site, aims to develop parking areas and its characterisation allows the placing of distinct use access in a hierarchy. 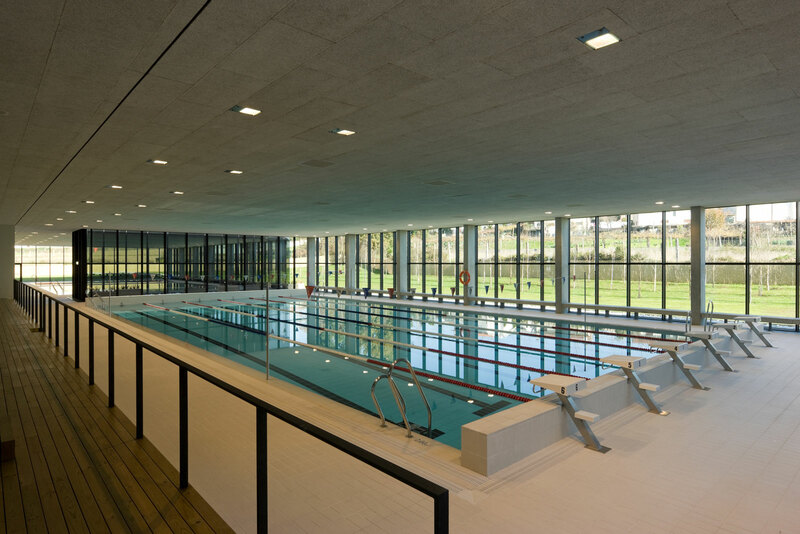 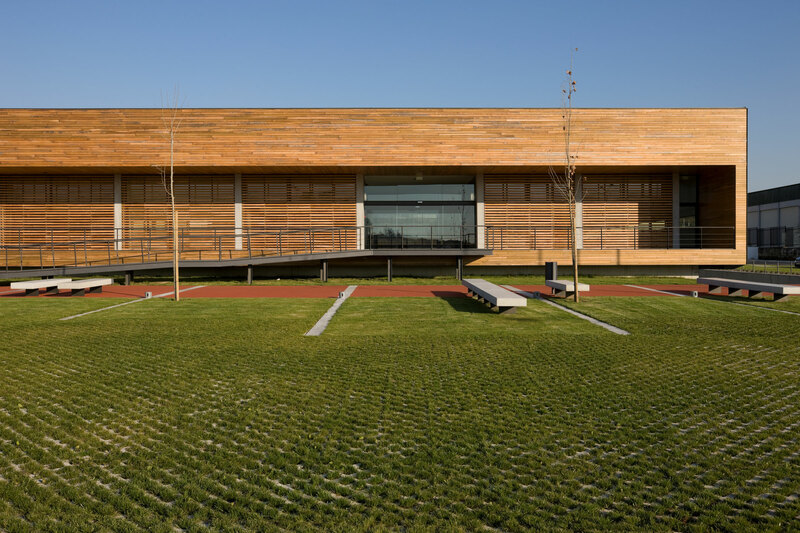 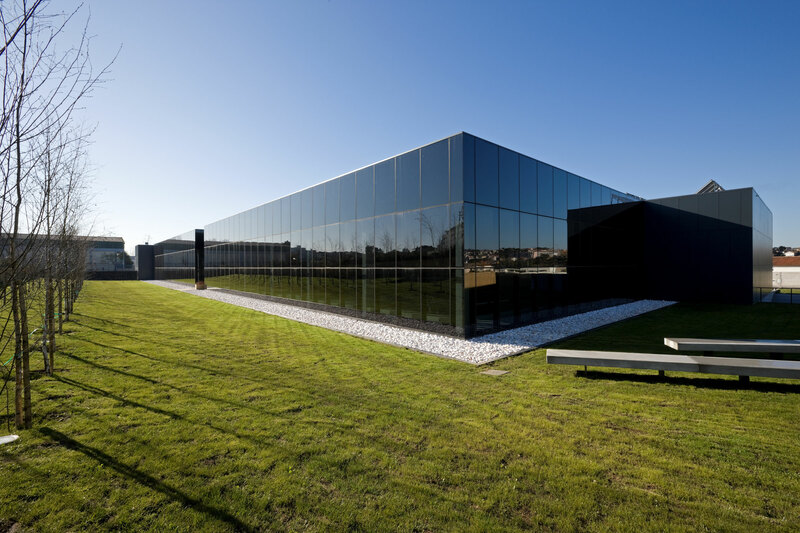 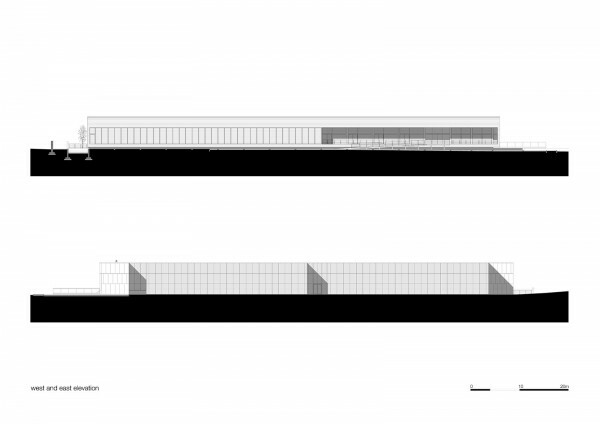 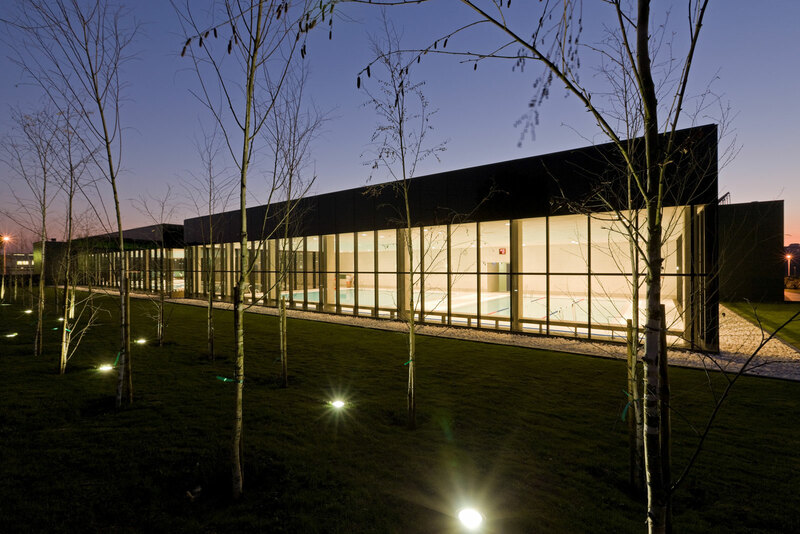 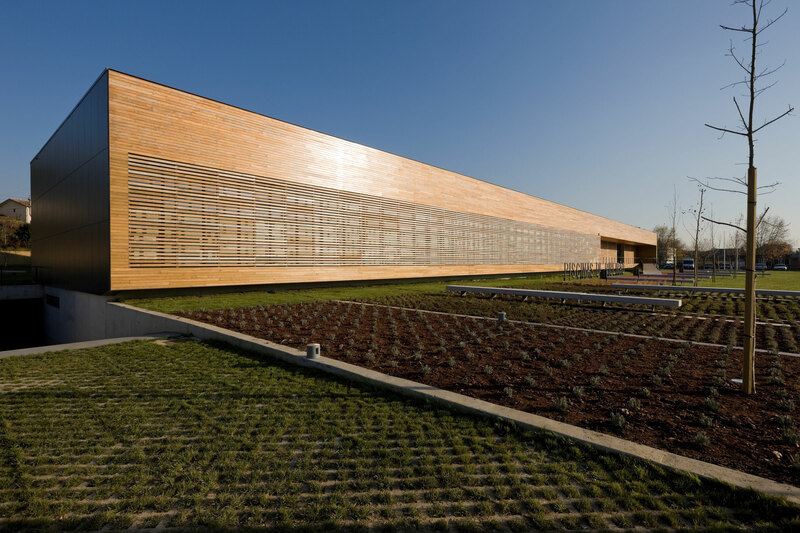 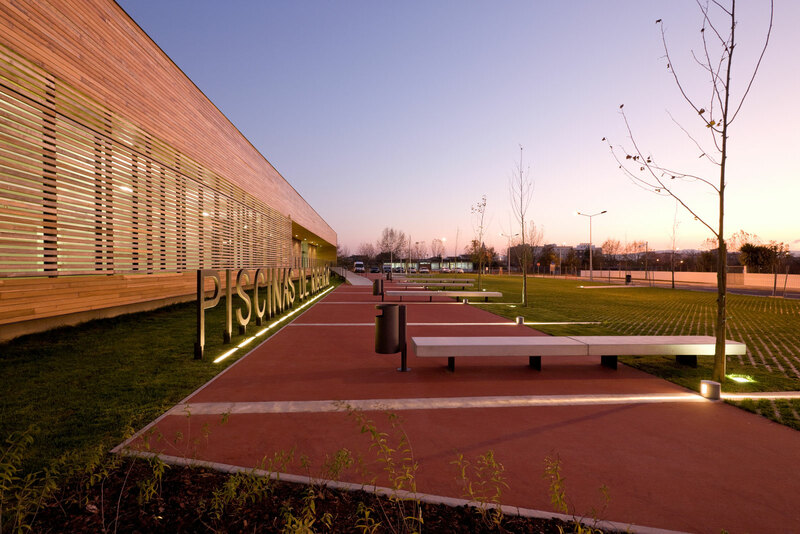 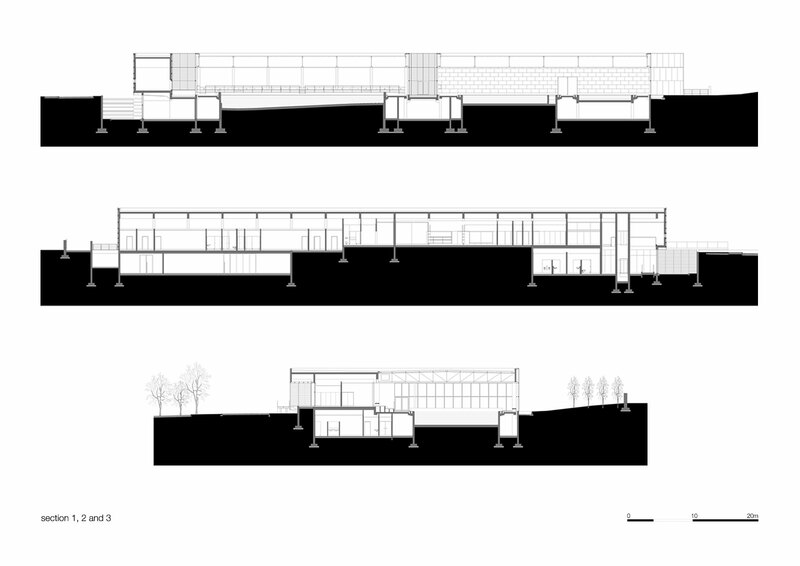 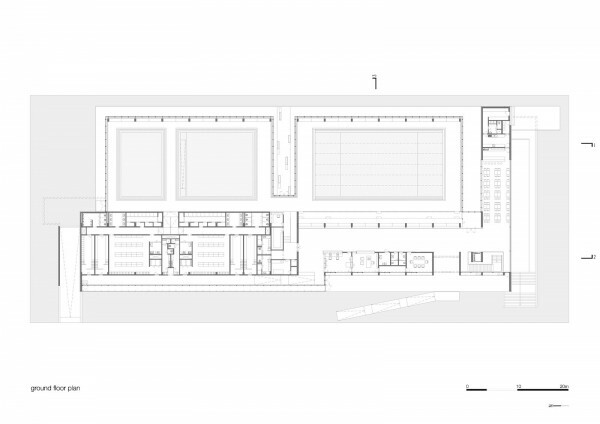 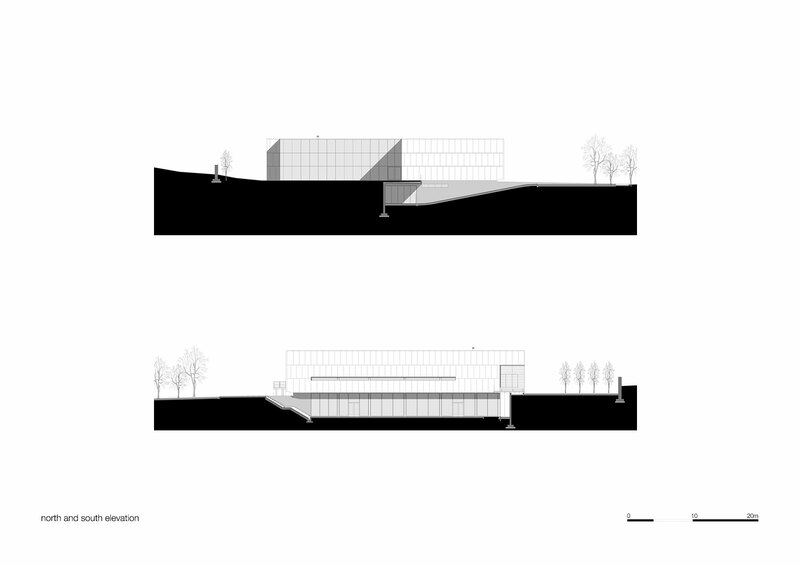 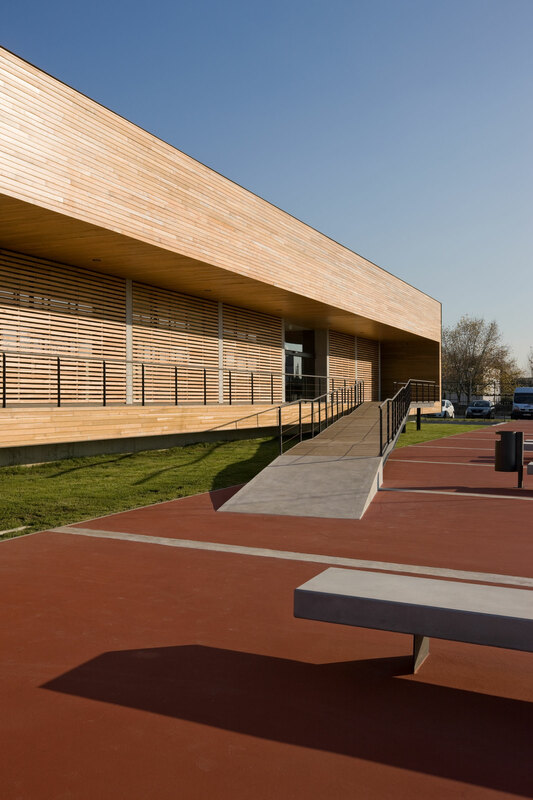 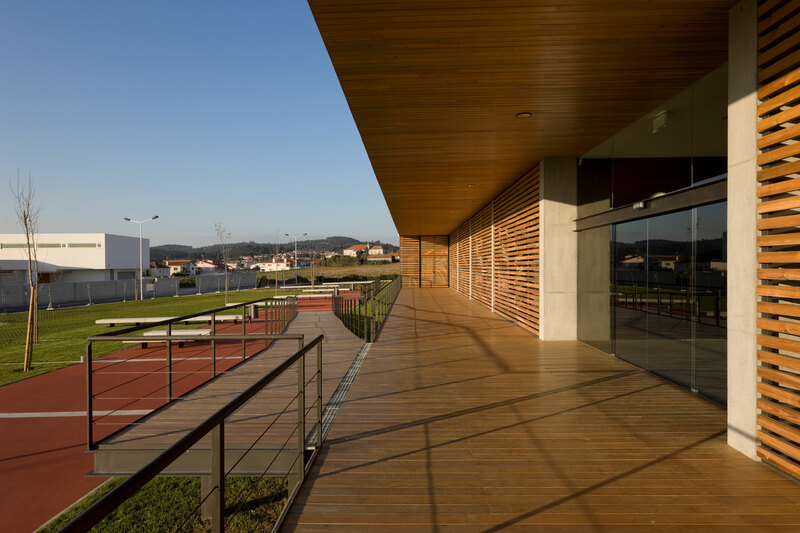 For whoever travels to the Swimming Pool Complex using the roads on the West and South sides, the building is settled within a large formal facility; marked by a strong sense of horizontality suggested by the morphology of the land. 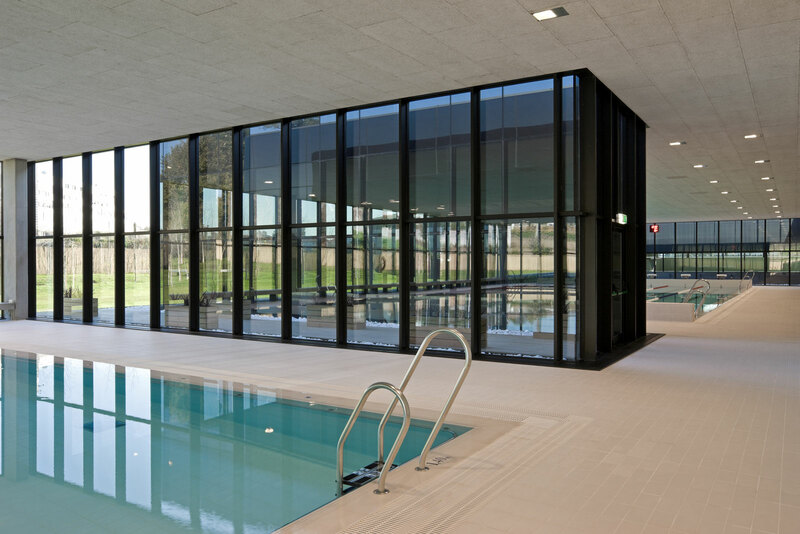 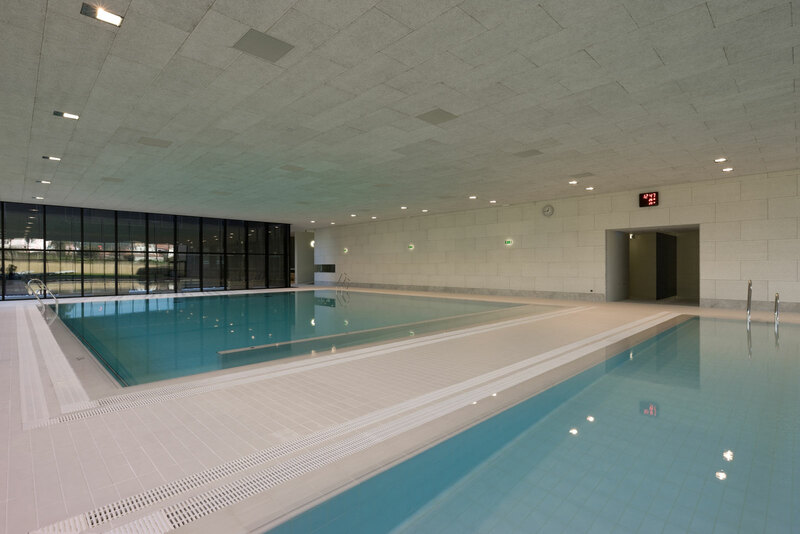 The atrium is developed along the entire longitudinal extension of the building of the main area which encloses the 25 m pool, and on a raised level. 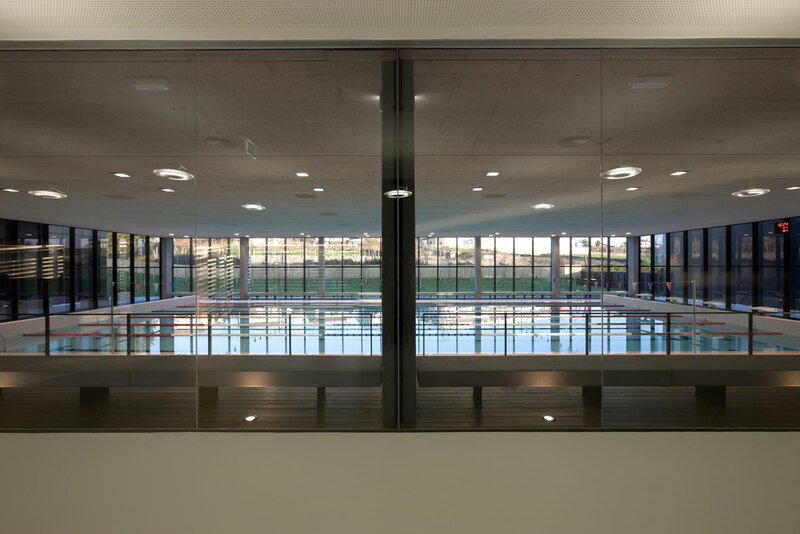 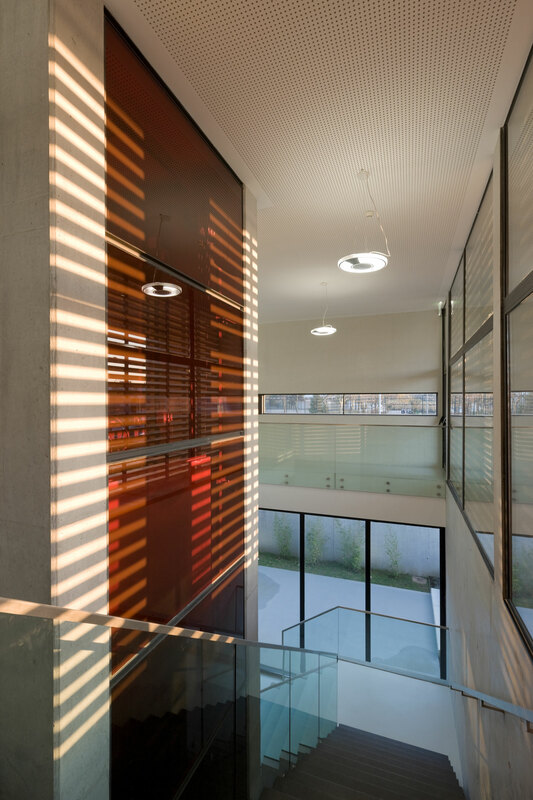 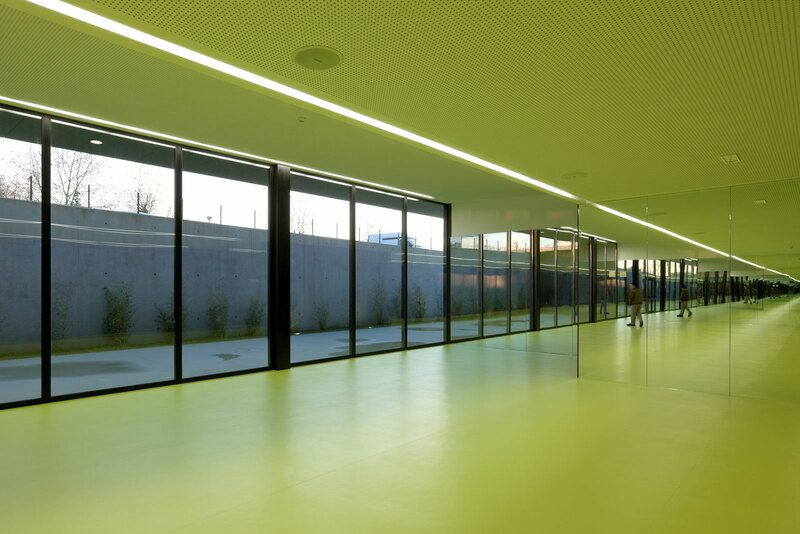 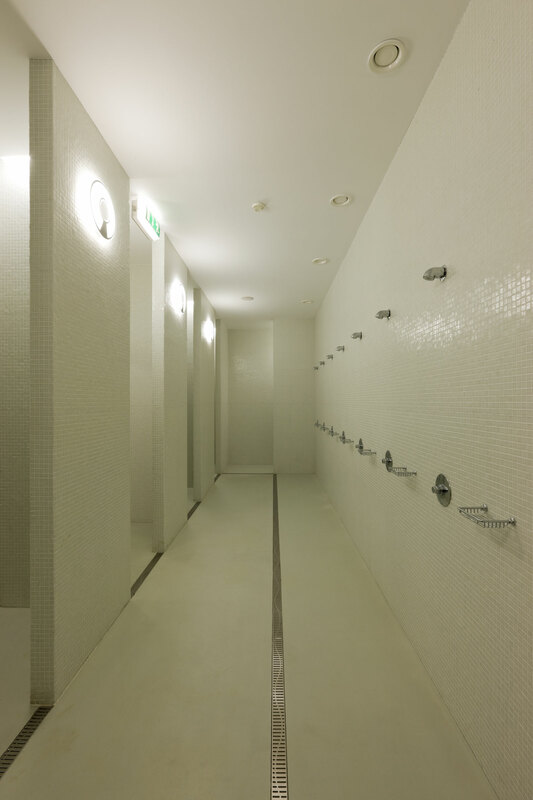 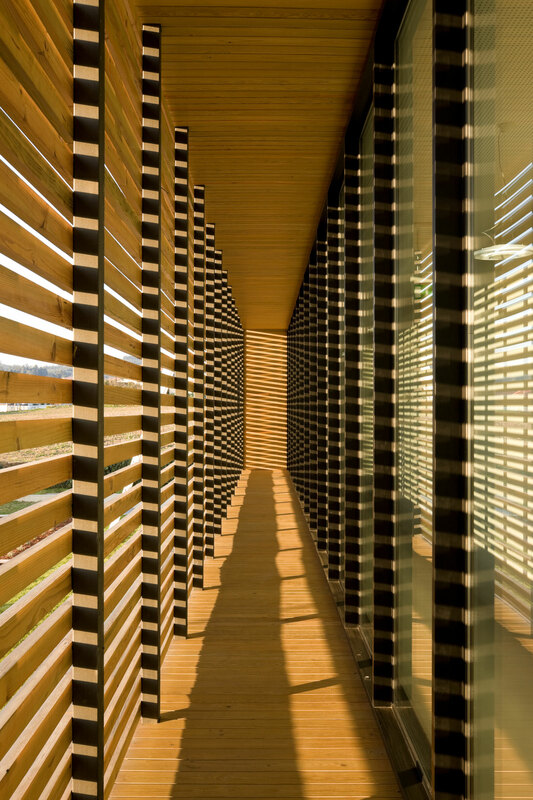 The separation of the two environments is made by a glass wall, which allows those who pass through the atrium to have permanent visual contact with the water´s surface. 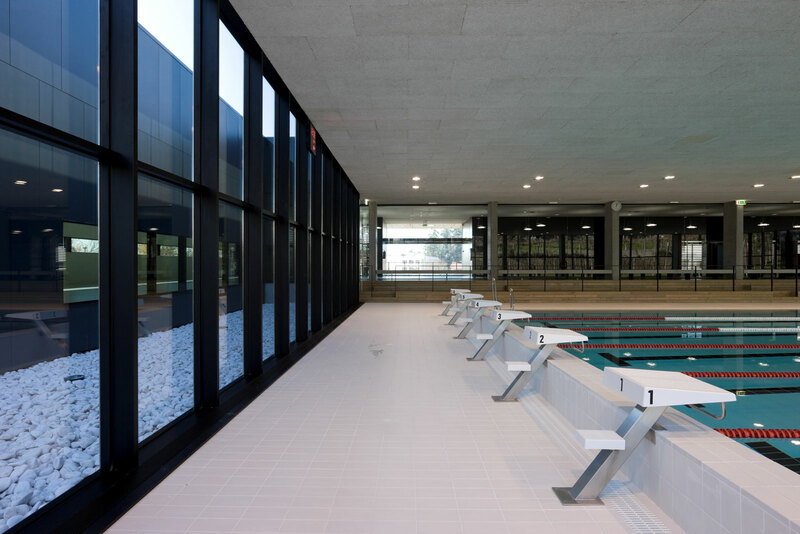 The swimming pool building is basically a rectangular designed block, intercepted by two patios to the East and finished with another one dug into the ground at the South end. 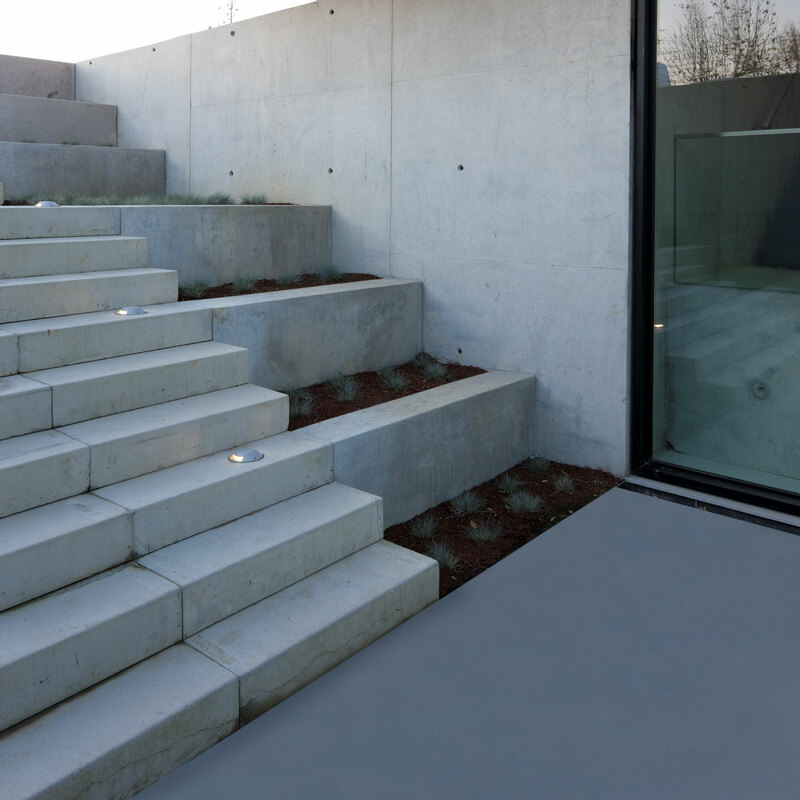 The formal restriction, besides being what is desired, proposing doing some exploring and enjoying the surprise, ensures the control of the construction environment by the way it is organised.